Each time you get behind the wheel, you count on your vehicle to get you where you need to go safely. However, a crack or chip in your truck's glass can leave you in danger of impaired driving on the road. 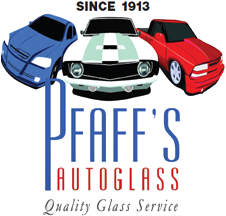 Pfaff's Auto Glass offers full truck glass repair in Winston-Salem, NC, for all makes and models. Whether you drive a foreign or domestic truck, we have you covered with our truck windshield replacement services and other solutions. Reach out to us today to request our services for your vehicle. Since our foundation more than 100 years ago, our shop has provided drivers with the top services for their truck glass repair needs. Whether you drive an SUV or a pickup, we have the expertise needed to take care of your ride. Throughout our decades of service, we have remained committed to keeping drivers and passengers safe with quality repairs. When your windshield is damaged in a minor accident or due to being struck by debris, our fully certified technicians can make it like new again with our selection of windshield services. The windshield is essential to your van's structural integrity and passenger safety. However, even the smallest amount of damage can minimize the windshield’s defense levels. In fact, it is more likely to shatter, putting you at risk for cuts by flying glass. When your windshield is damaged, the last thing you want to do is spend hours in the auto repair shop waiting for services. Our technicians work efficiently, fixing most small chips and cracks in around half an hour. If you can't squeeze an auto shop visit into your packed schedule, don't worry. For your convenience, we are also happy to offer mobile services for customers throughout the area. We come to your location to provide a full SUV glass repair that fits your schedule. In some situations, your glass may be damaged beyond repair. During these times, we have the right solution for your needs. Our truck windshield replacement services allow you to resume safety on the road. Ensure your fleet is ready for the road with our commercial glass repair services. Our technicians are available to work with semi-trucks, construction equipment, and everything in between. Count on our team of professionals to keep your trucks in top condition. Contact us in Winston-Salem, North Carolina, to request our glass repair services for your truck. We offer options for drivers throughout the area.